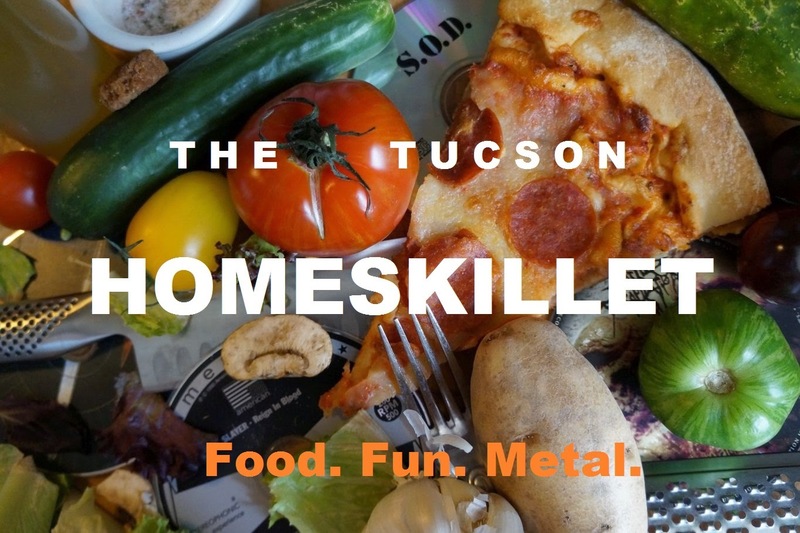 Yes, another pizza concept in Tucson. Yes. All we can say about that is...yes! Luke's Neapolitan Pizza and Catering is new to the pizza block but the chef and owner is far from being green around the ears, or crust. Luke Smith was once involved, and helped get off the ground, a popular and successful "food truck" business, Fiamme, which is now a standalone at the corner of Swan and Sunrise and is doing very well. Luke and his former business partner did not see things the way that two should when pushing a concept into the tasty stratosphere, attempting to bring them to glorious heights, so Luke split and actually left the pizza biz for quite some time to rethink what he wanted to do with his young life. 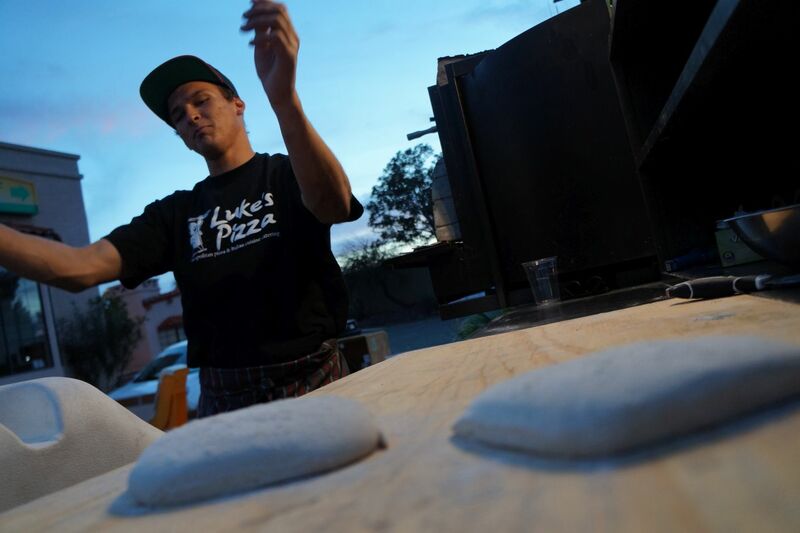 After a bit of knocking around here and there and even taking some bland job in order to pay the bills, Luke realized that he had a talent and passion for all things savory and wood fired and made a very important decision. So with a bit of luck along with some financial negotiations, he got back on the pizza wagon and began to build, well...a pizza wagon. And all anyone can say about this is: You made the right choice. 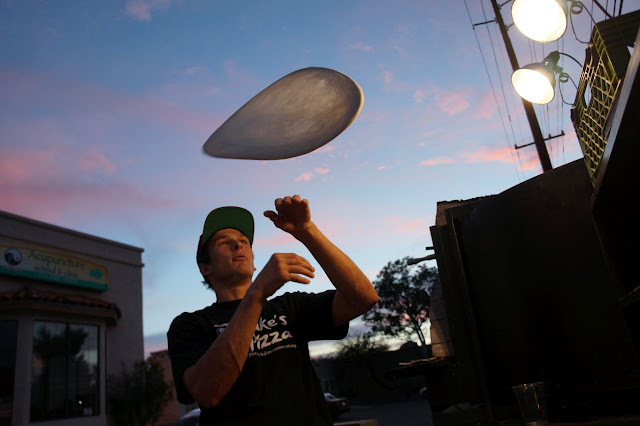 Now that his former partner is nestled into a cozy spot, Luke knew that operating a mobile pizzaria would be something special here in Tucson, especially the style that he is most accustomed to making. 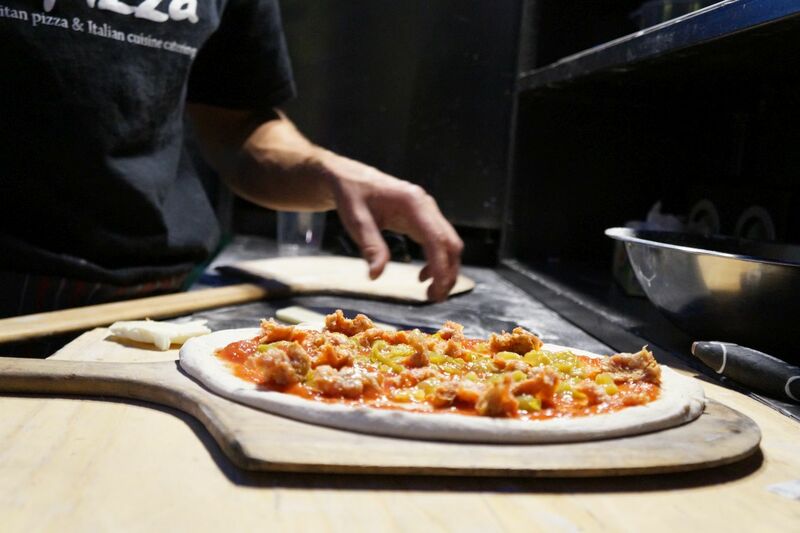 Neapolitan pizza is essentially what pizza really is, how it got started, from a region of Italy usually associated with gangsters. 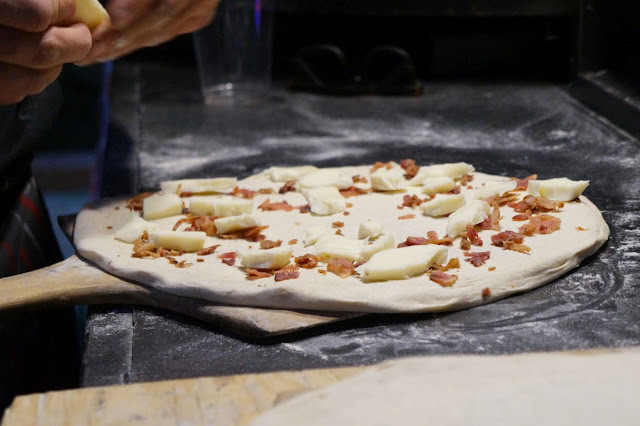 It is a thin crust made from simple dough ingredients and topped with a minimal of sauce, sprinkling of cheese and perhaps a cured meat or roasted vegetable here and there. 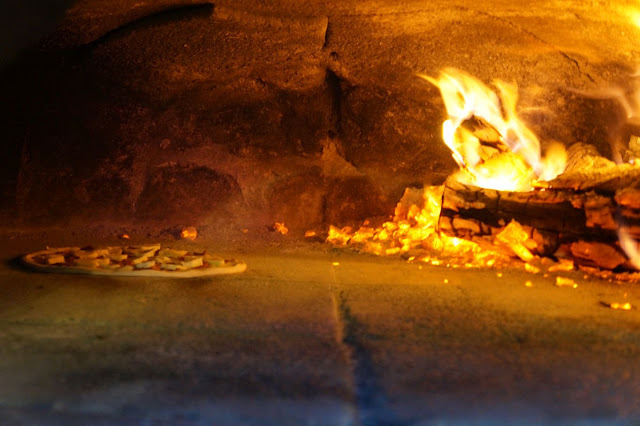 Thrown into a well heated wood fired oven that can reach temperatures of 800 degrees, these magnificent discs of supple flavor are meant to be enjoyed for the quality of ingredients and not the sheer amount of salty messes and glop that seem to permeate so many "pizzas" that we have grown comfortable with. Sure Luke can make you a pizza with extra sausage, extra cheese and extra sauce, but it wont be the same as his other perfected creations and just might fall off the finely charred crust and fall into your lap and your date will be all "Dude, you got pizza crotch" before taking off and leaving you there with hot drippy (yet delicious) chaos starting to seep into your underwear. Trust the maestro here. Luke's pizzas are fantastic so leave the heavy handed muck to the corporate chains that insert hot dogs into their crust. We know what we are talking about here. It's hard work, like really hard work, and sometimes frustrating, but Luke Smith is tenacious and hungry so when you see his set up anywhere across southern Arizona, usually at breweries, sporting events and the occasional neighborhood bar, slam on them breaks and get you some. In our fair city of noted gastronomy, a guy like Luke isn't going to just set up a cheap oven, slap some crud he bought at the grocery store on dough that came from a can that pops loud when you twist it open then charge you like $15 for it because, you know, overhead and supply and demand and all of those buzzwords associated with lackluster products. No. This is a guy, a kid really, that wants you to walk away knowing that you just ate something special from a business that was built from literally nothing by someone with experience and a love of all things authentic and delicious. Honestly, we just can't get enough of him and his pizza. But it just doesn't stop or start at pizzas. He can also fix you up a calzone, which is basically a pizza gone Hot Pocket yet far more scrumptious and less frozen aisle sadness. Stuffed with pepperoni, mozzarella and ricotta cheese, he then tops it with his signature red sauce, more mozzarella and finishes it with fresh locally grown basil. It is a beast. A tasty tasty beast. Luke's margherita (c'mon, if you're going to make Neapolitan pizza, you have to have a margherita pizza on the menu) is delicate and full of fresh flavor. One of the best made in town, flour dusted hands down. We personally love his pizza bianca, or white pizza. A dance of choice ingredients; his homemade mozzarella, locally bottled olive oil then completed with basil and grana cheese, which is an Italian hard cheese that is very mature and has less of a sharp flavor than parmesan but still has a bold bite. You seriously need to try this one. Okay, lets get down to the nitty gritty here. Our go-to bit of decadence has got to be Luke's bacon and egg creation. Oh...dear...jeebus. So freaking good. 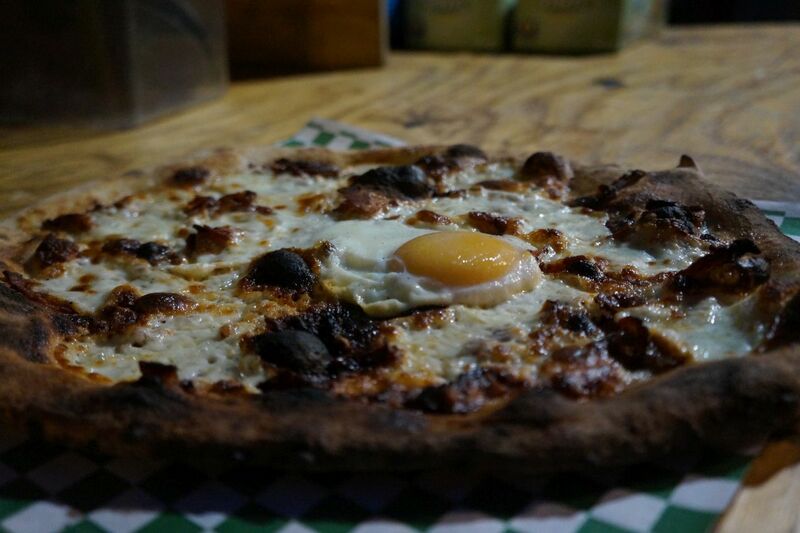 This monolith served atop hand tossed dough is a white pizza but covered in wood roasted bacon and a perfectly cooked over easy egg (which is anything but easy to cook, especially outdoors among the elements). Luke then takes the egg, carefully breaks open the yolk and drizzles it all over the pie like the deviant fiend that he is. This pizza is not just for breakfast anymore. Oh no. This one covers all the meals then goes into a late night snack then somehow vortexes itself into a whole new dimension. What comes between lunch, dinner and beer? Not too sure, but this pizza is it. 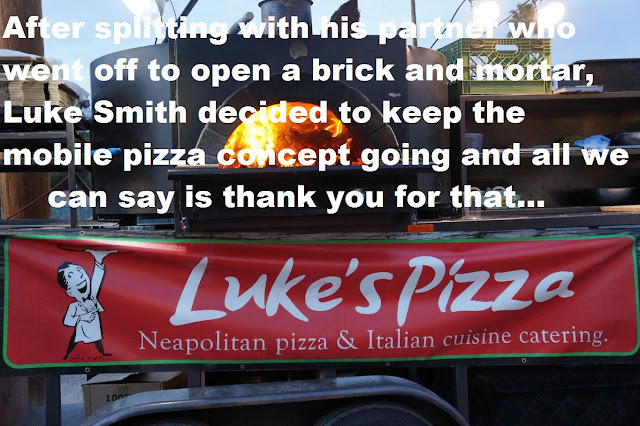 Outside of serving up amazing pizzas and calzones, Luke is also available for catering. His prices are totally reasonable for parties up to 20 people. We've considered throwing a "party" just so he would show up and serve us. 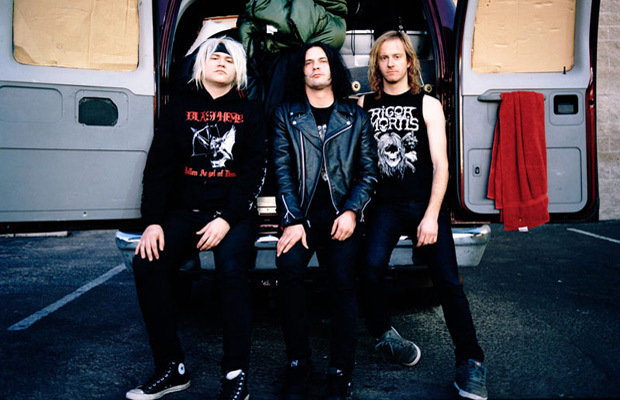 Fine, maybe is was just Metal Mark. To get what we are talking about and to see where Luke will be set up next, you can follow him on Facebook HERE. Oops, forgot to mention that Luke can also make you a Nutella pizza topped with ice cream for about $4. That is if he has the stuff with him which isn't always the case. So fingers crossed when you cross paths with him. If not, he has plenty of other fantastic options to fill you up and keep you pizza motivated.